4-1/2 ft. x 10 ft. x 1/2 in. 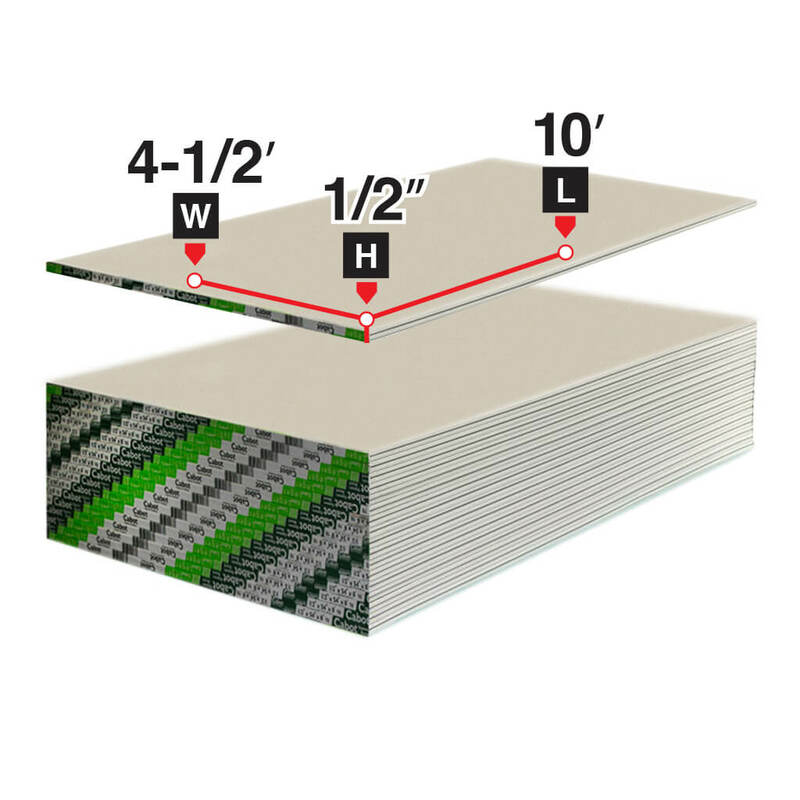 Regular Gypsum Drywall Board has a core of noncombustible; dimensionally stable gypsum rock sandwiched between a face layer of 100% recycled ivory colored paper and a brown-back paper. The face paper is formed along each edge, wrapped around and sealed to the brown paper on the back side. This produces a strong yet flexible panel in convenient width and lengths to meet most commercial/residential construction requirements for wall and ceiling substrates.